Cat Adoption: Are You Ready? Before jumping into the world of cat adoption, it's important to analyze whether or not you're ready to own a cat. These cute companions require effort, love, and attention, so if you don't think your ready to take on the responsibility of owning one, it might be a decision to avoid. Here are some questions to ask yourself before adopting a cat. Adopt A Cat Tip #1: Can You Afford It? Cats are more expensive than the average person might think. 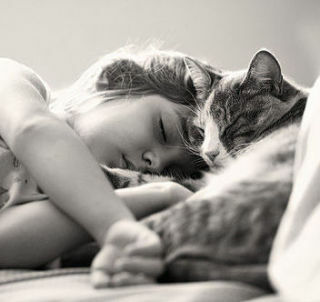 For a happy and healthy environment, cats need more than food, water, and a warm place to sleep. There's also yearly vet check-ups, unexpected medical costs, cat toys and scratch posts, high quality food, grooming, and proper dental care to take into consideration. Adopt A Cat Tip #2: Can You Commit? Cats, like any other pet, take some amount of commitment. They require daily care. To be happy and healthy, a cat will need water every day, 2-3 meals per day, daily litter box cleaning, toys and scratch posts to spend their energy, and a decent amount of personal attention. Cats with longer hair will require grooming on a daily basis, while short-haired cats will need it every few days or so. Adopt A Cat Tip #3: Do You Have The Time? As mentioned above, cats need quality time with their owners. Though they may seem aloof, to be completely happy they need to interact with people every day. Some important bonding activities might include cuddle time, play, and grooming. 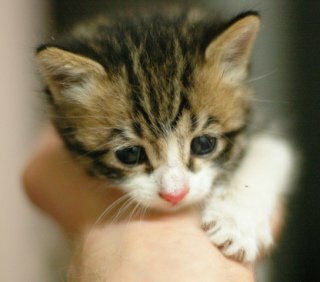 Don't get a cat if you're never going to be home, cats who don't get quality time can become unhealthy and depressed. Adopt A Cat Tip #4: Do You Have Kids Or Other Pets? if you have children under five years of age, it's important to entertain the possibility that a toddler can hurt or even kill a cat or kitten, and the toddler can obtain some nasty scratches and bites in return. If you can't constantly supervise your cat and child at all times when they're together, it might be best not to get a cat until your child is older. Do you currently have any other animals? If so, consider how well the cat might fit into the home. If your current pets don't interact well with other animals, take caution with adopting a new cat, or don't do it at all. Adopt A Cat Tip #5: Is Anyone Allergic? If anyone in your household is allergic to cats, you may have to proceed carefully. Many cats end up in shelters because someone has or develops an allergy. So, before adopting make double sure that no one in your shelter has an allergy. If someone does, don't adopt, or take special precautions to protect from triggering those allergies. Adopt A Cat Tip #6: How Important Is The Furniture? If you have extremely nice furniture, and you're worried about it being ruined, a cat might not be the best idea. Cats have natural instincts to scratch on furniture, and it's probably going to happen. If you're thinking you can just get the cat declawed, think again. Declawing a cat is an inhumane, painful practice which often results in behavioral problems like spraying and biting. So, if you're willing to take a little damage to the furniture during a training process, there are ways to deter the cat from clawing on the furniture. If the cat is offered a good cat tree like Go Pet Club Cat Tree, along with plenty of exercise, he'll be far less likely to scratch the furniture. It's also possible to keep the cat from damaging the furniture by keeping claws trimmed, and finding ways to make the furniture unappealing. This can be done with citrus sprays or sticky tape. So do your ready to adopt a cat? If you're not prepared to accept every aspect of owning one, it might be best to say no until a better time. Also Read: 5 Ways To Protect Your Furniture From Cat Scratching, and Cat Escaping: 5 Tips To Keep Your Cat Indoors for more cat care information.